As we all know, a Pre-school or play school help largely in a child’s Holistic development. Thus, it is essential to admit a child at a best pre-school (at age of 1.5 years) which nurtures best qualities, habits and behaviors right from the young age and makes the children to engage with other fellow children of their age category. This way they are able to learn different personalities, different environment and challenging situations to face any kind of tasks in their life. 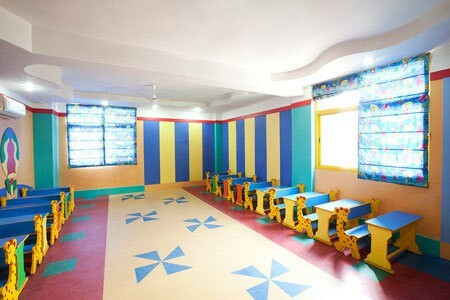 Thus, below are the best pre-schools available in Indore of Madhya Pradesh. Though Indore is one of the developing cities of Madhya Pradesh, it has now been a favorite location for the school managements to derive new school branches in this city. Based on the teaching methodology “Don’t teach me, reach me”, Shishukunj is the famous international school located at Jalaria of Indore. It is affiliated to Shishukunj International society of London and has been appreciated for its refined methods of teaching by famous educationists. This school has been awarded as “Number one Co-education school” for four consecutive years by the Education world. Imbibing new methods of teachings such as “5G Theory” and “Multiple Intelligence Theory” this school has been noted as a best school to provide standardized education. Also, this is school which is administered by IIT aluminis who are well known for their inherent talents. This school has a facility of online fee payment which will be helpful for working parents. It has its pre-school located at Vijaya nagar of Indore. The Tree house is a very famous chain of pre-schools in India which concentrates in cognitive and creative learning. It has secured Education excellence award for fast developing pre-school chain in western India. It offers summer camps, hobby classes, day care services, Junior and senior kinder garden and Teacher training courses. This is an international school which has recently won an award named “Best International School 2014-2017” by British Council. The infrastructure of this school is mind blowing with separate rooms such as computer room, mini auditorium, play area, sand pit, ball room, activity room and so on. It is affiliated to many international organizations such as Lead America, AFS and IAYP. Sticking to the Sanskrit’s motto “Gyanamev Shakthi” which literally means “Knowledge is power” is an oldest institution of Indore which was actually started in 1870. Since it is a construction of 18th century, this school obviously looks like a palace. The school has been divided as senior and junior school which has well talented staffs to guide students. Little Millennium which is located at Manish Puri of Indore is a best school in terms of introducing innovative teaching methodologies such as seven-petal approach. It is promoted by the India’s largest education specialist called Educomp. The best seven petal curriculum of this school provides all round development for your child. This school is one of the best premium schools of Indore with excellent facilities and infrastructure. The minimum intake age of pre-school category is 1.6 years. It has attractive infrastructure such as mini gym, min zoo, skating rink, sand pool and swimming pool surrounded by lush green garden areas. It has more than 10 branches in Indore and thus it is one of the top leading pre-school chains in India. Its Pre-school branch is located at Vijaya nagar of Indore. This school implies Play way methods of teaching which is an unique way of creative learning. It offers programs such as play group, nursery, kinder garden I and Kinder Garden II. It also offers hands on practice for children in all possible fields and also help in the improvement of their language. Theme based learning makes the children to quickly understand their lessons. This school which is also located at Vijaya nagar of indore is one of the best schools which makes reading habit compulsory. For this they have in house library with many collections of books to cultivate reading habit right from the young age. It often conducts parents-teacher meeting to make parents aware of their children’s plus and minus points. Hygienic foods and snacks are supplied during lunch break through their in-house kitchen facility. As we know already, Bachpan is a famous group of pre-school chain that operates in all major cities of India and has more than 1000 branches across the country. It is a modern school which provides latest facilities such as 3D smart boards, Talking books called as Speak-o-Book, Nursery teacher training classes and so on. It also has amazing facilities such as splash pool, dining area, AV room, Doll and activity room, art and craft room, little gym and so on. Indeed they are the Best Pre/Play Schools. You can add one more school in this category, that is Tirthanjali Academy, Play School in Indore. Because when it comes to providing high standard quality education, Tirthanjali Academy is nothing short of it. My child is presently studying in Tirthanjali Academy & I must say they lived up to my expectations! It’s a great place where children can learn numerous things apart from studies. The teachers give proper attention to each and every child and they focus on overall development of their personality. I am very proud to say that my son is a part of this school, where he has learned a lot of things.